Thermally bonded seamless surface for a more predictable trajectory. FIFA Quality Pro certified. 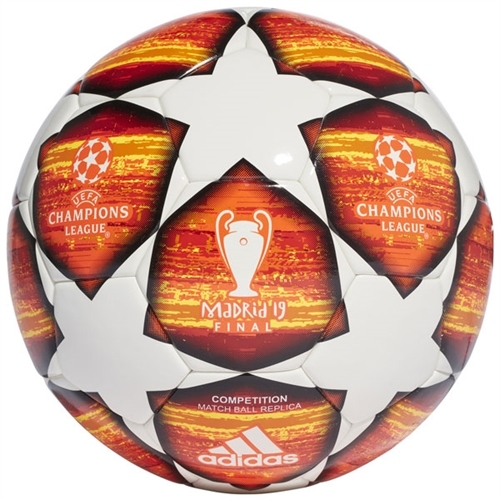 UEFA Champions League logo. 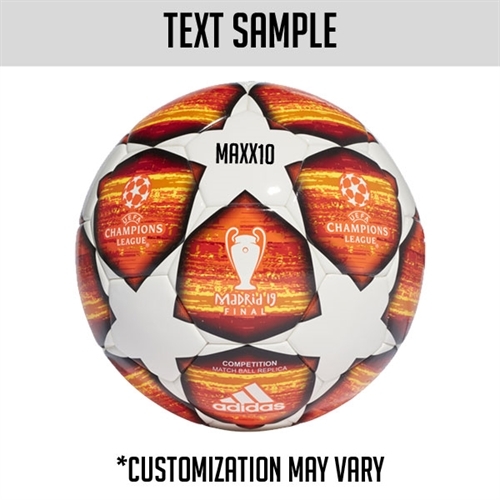 Our adidas UCL Finale Madrid Competition Soccer Ball game-quality soccer ball is a replica of the one used in this season's knockout stages and final. It has a thermally bonded seamless surface for a true touch and reduced water absorption and a premium leather effect for a soft feel.